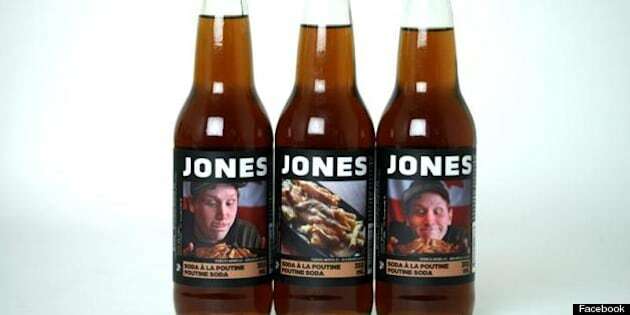 Jones Soda's Poutine Flavour: Awful Or Amazing? We never thought there could be too much poutine in the world, but alas every hot food trend can go too far. For us, that realization occurred with the recent invention of the poutine doughnut. But it looks like Jones Soda Co. has gone one step further with flavored soda pop that tastes like Canada's symbolic holy trinity of ingredients — fries, gravy and cheese curds. This limited-edition flavour, brought to you by the popular Seattle-based pop company largely known for its root beer, cream sodas and lemonades, will be available in select cities across Canada and most notably in Quebec, where poutine was supposedly invented in the 1950s. So what's wrong with exploiting this classic Canadian food? In case it's not obvious, it's pretty gross. Based on the reviews, Canada.com notes that it tastes as disgusting as it sounds. We're not so sure this product is going to fly off the shelves, at least on the merits of taste alone. It might make a good Canadiana gag gift or souvenir though. One Facebook user commented: "I don't want the pop, but I will take the poutine from the middle bottle's picture, that looks damn good." For Jones Co., it's just good publicity, along the lines of other one-off novelty flavours such as turkey and gravy for Thanksgiving and the football-inspired field turf and perspiration flavours.